History | Iwatani Malaysia Sdn.Bhd. Naoji Iwatani Shoten was established in Minato-ku, Osaka, Japan and sales of oxygen, welding rods and carbide began. Iwatani Corporation was established with a capital of ￥198,000, and Mr. Naoji Iwatani, the founder of the company, became President. The head office was built in Hommachi 3-chome, Higashi-ku, Osaka. The selling of Propane Gas products for the consumer market started. The company was listed on the Second Section of the Osaka Securities Exchange and the Tokyo Stock Exchange. It was listed on the First Section in 1965. Construction of the Sakai LPG Terminal (storage capacity: 80,000 tons or greater) was completed and import of LPG directly from the Petromin was started the following year. Iwatani Corporation(Malaysia) Sdn Bhd was established. The construction of the "Hydrogen Station" in Yokohama was completed, following Japan's first Hydrogen Station in Osaka. The company took the initiative in building hydrogen infrastructure together with the development of Japan's first "Mobile Hydrogen Station". Iwatani Industrial Gas(Malaysia) RG Sdn Bhd was established. 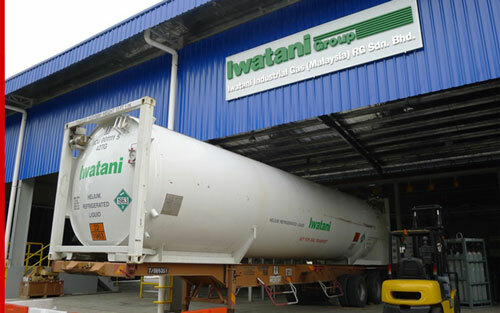 Iwatani-SIG Industrial Gases Sdn Bhd was established. The Iwatani R&D Center was completed in Amagasaki (Hyogo prefecture). Our first helium refilling factory in South East Asia launched in Senai, Malaysia. Iwatani Corporation (Singapore) Pte. Ltd. and Iwatani Industrial Gas Pte,. Ltd. were amalgamated. 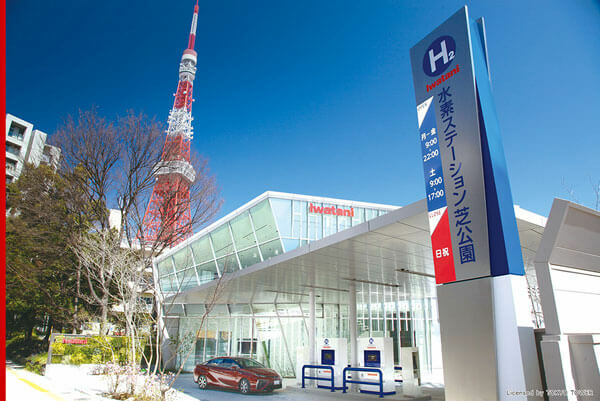 Iwatani Hydrogen Refueling Station in Shibakoen opened as the commercial hydrogen refueling station with showroom near Tokyo Tower. Iwatani Malaysia Sdn Bhd (Formerly known as Iwatani Industrial Gas (Malaysia) RG Sdn Bhd) and Iwatani Corporation (Malaysia) Sdn Bhd have merged and unified as one team.